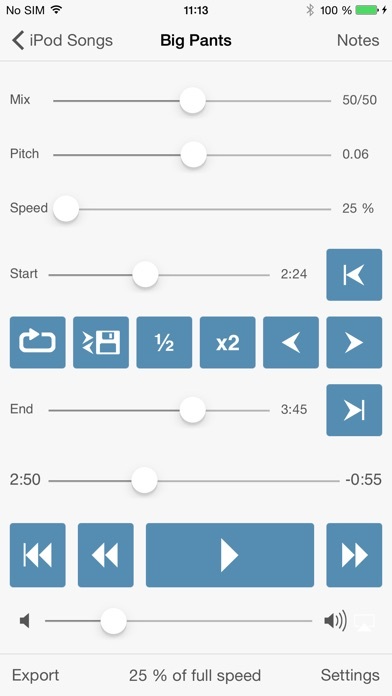 If you're a musician who likes to learn new songs and techniques by listening to the same piece of music over and over but wish that the music could be played a little slower, then you'll enjoy Amazing Slow Downer Lite. Change the tuning or musical key? No problem, Amazing Slow Downer Lite handles that as well. Amazing Slow Downer Lite is the ideal tool for any musician, transcriber or dancer wanting to improve their skills. 1. This free "Lite" version is restricted to play the first quarter of an audio file. 2. Cannot play DRM protected files from the iTunes store (m4p and audio book files).